We started off with Kandy. 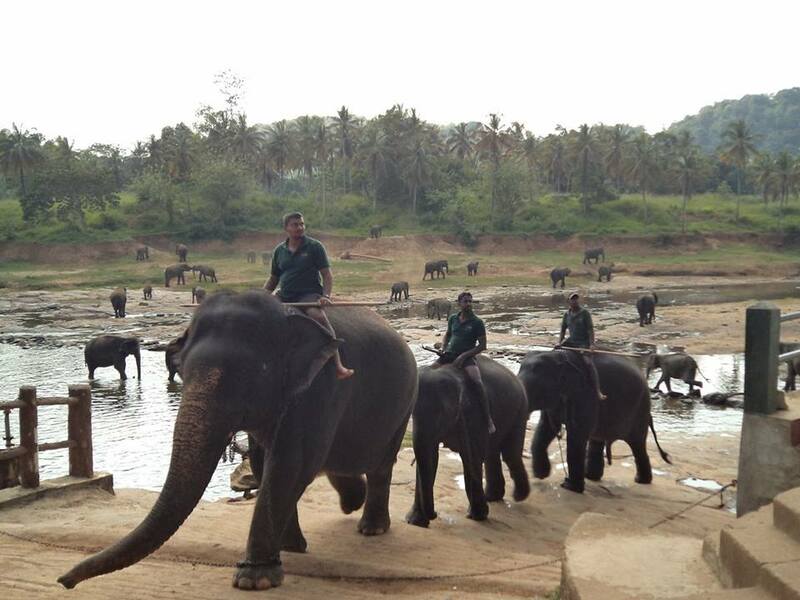 We had Pinnawala Elephant Orphanage, A famous Buddhist temple and Botanical Gardens lined up. One very important tip here. If you plan to visit the elephant orphanage, please make sure you are there by around 8.30 or 9 am. I am saying this because that is when the care-takers begin with the daily schedule of the elephants, right from bathing the adults to feeding the babies. We, sadly, missed that, as we reached at the fag end of the day when these guys were being taken back home after a dip in a lake. Moving on, Botanical Gardens is a must-see. It is absolutely mesmerizing. The arrangement of the plants, their designs, the expanse, everything is a pleasure for the eyes. It is a complete photographer’s delight. The last stop before we could crash onto our beds in the hotel in Kandy was the Buddhist temple. It was very serene and I even found it mystical to some extent, I wonder why. My cousin’s friend went totally gaga over it. It was pretty huge, the whole campus and there was some dress code too. We took pictures and it was dinner time by the time we were done. So there, that was day one. We had a car and a driver to ourselves and after what seemed to be an eternity and umpteen long, winding roads later, we reached our hotel in Kandy.